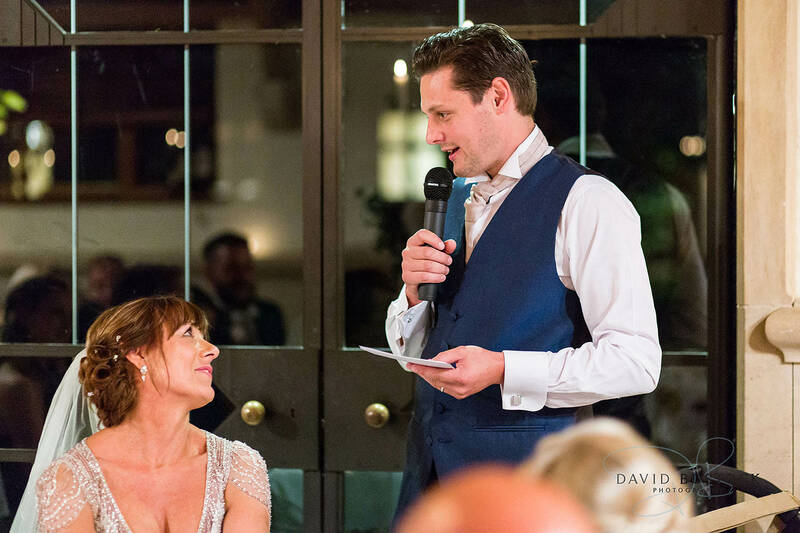 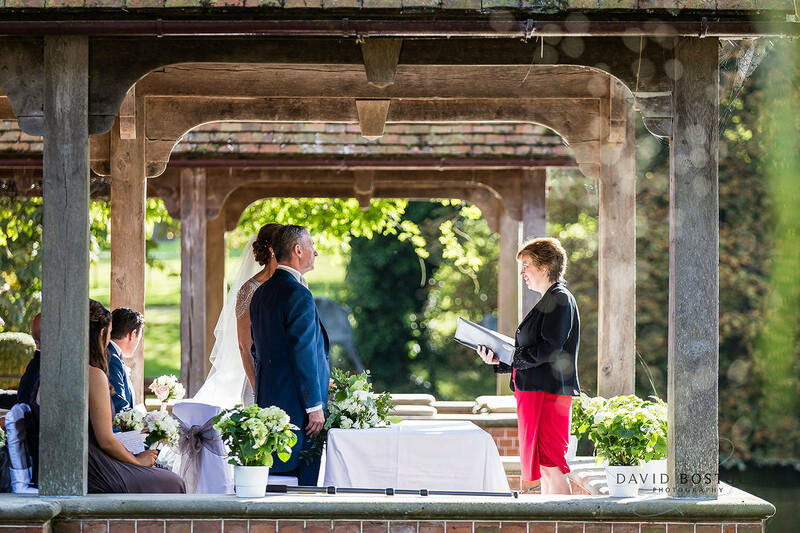 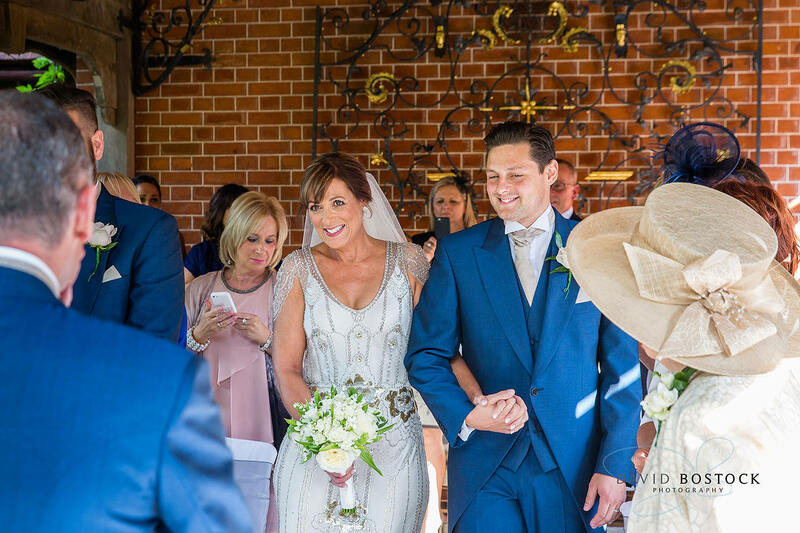 Lesley and Steve made the most of the stunning sunshine with a romantic alfresco, waterside wedding ceremony at The Dairy at Waddesdon. 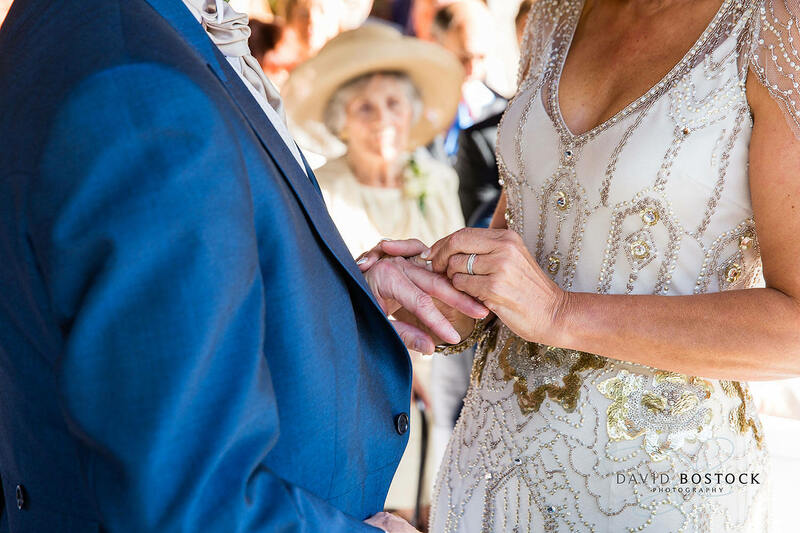 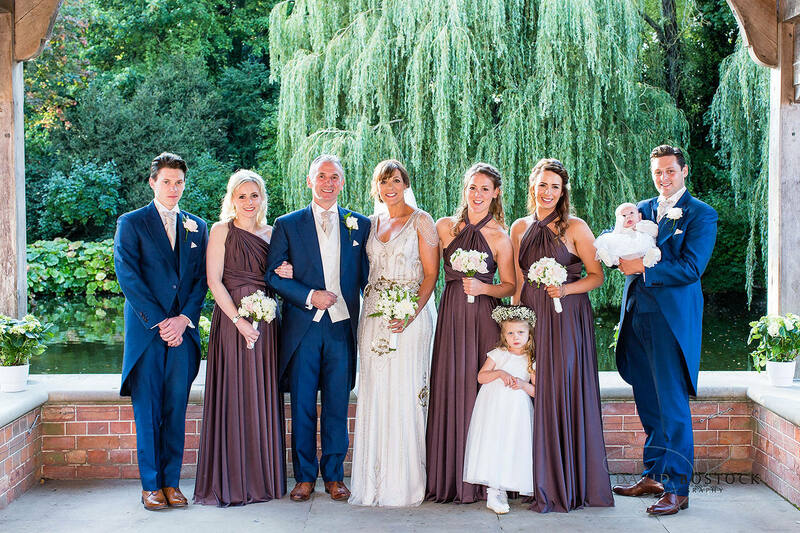 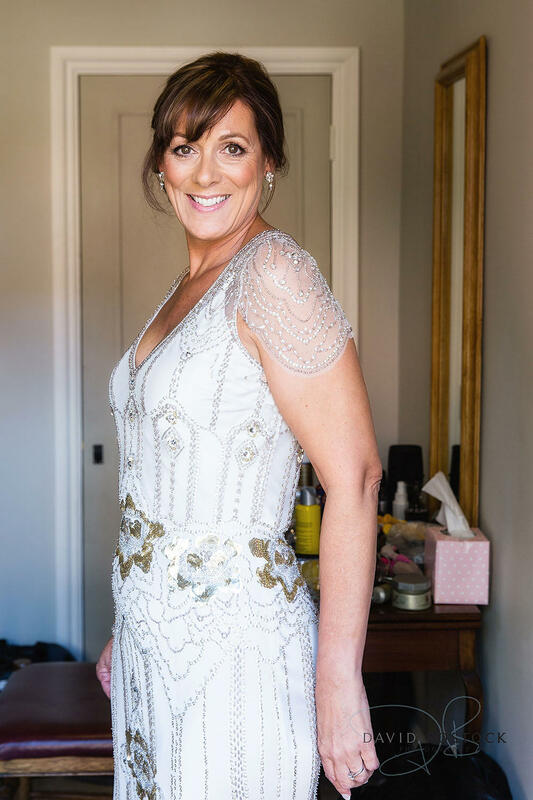 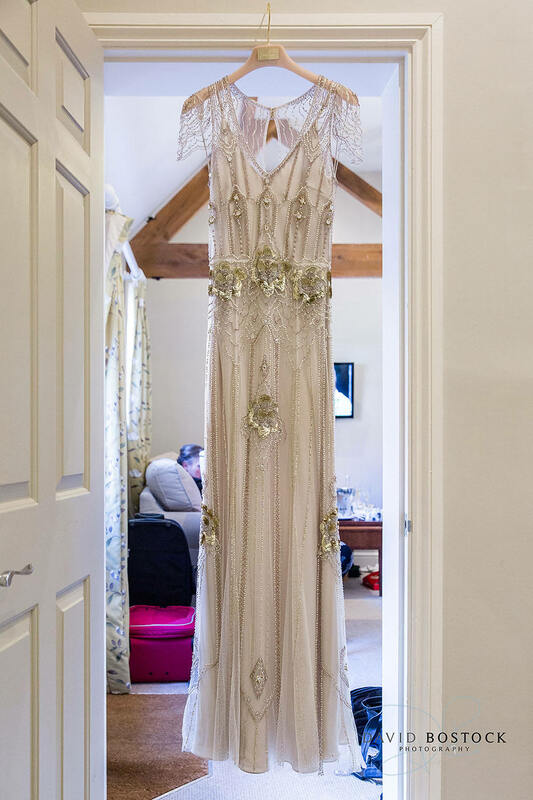 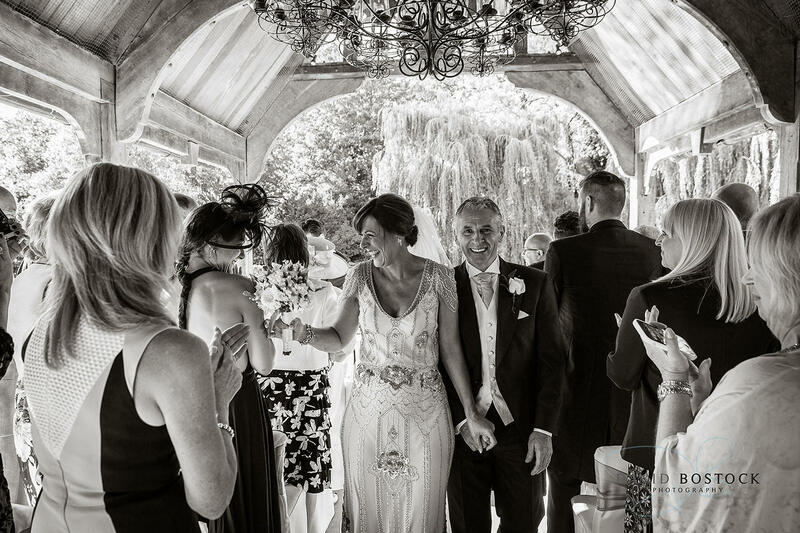 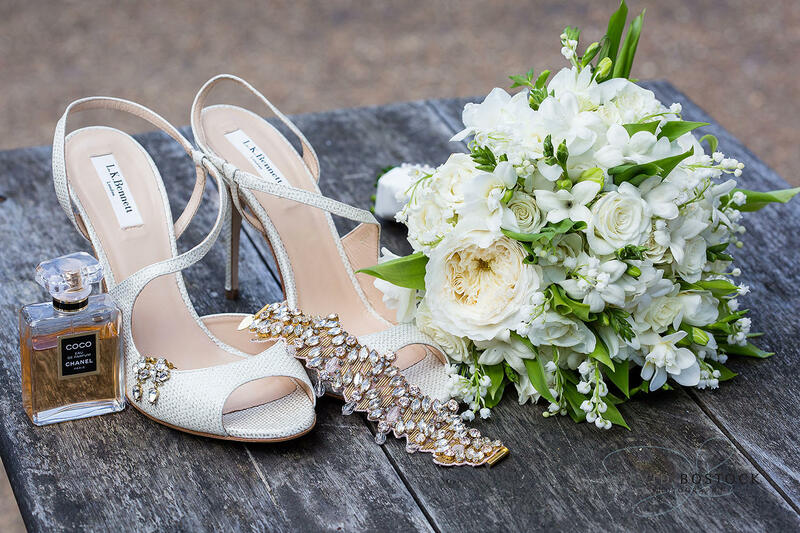 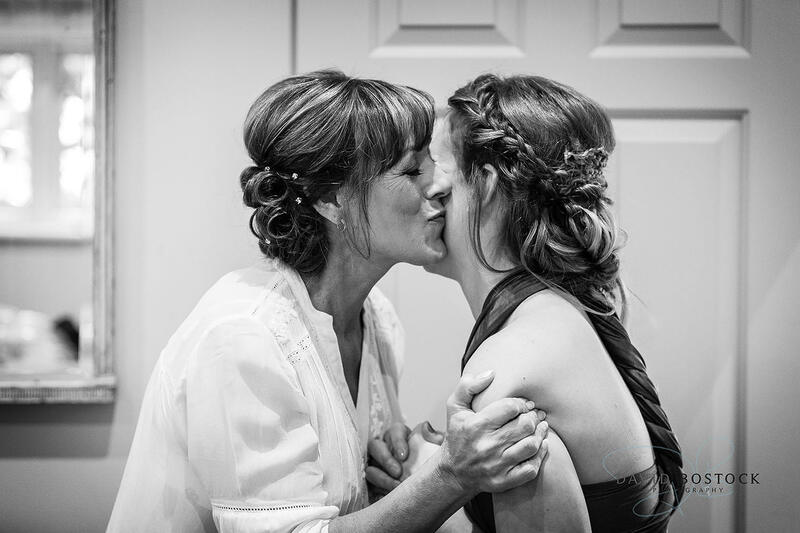 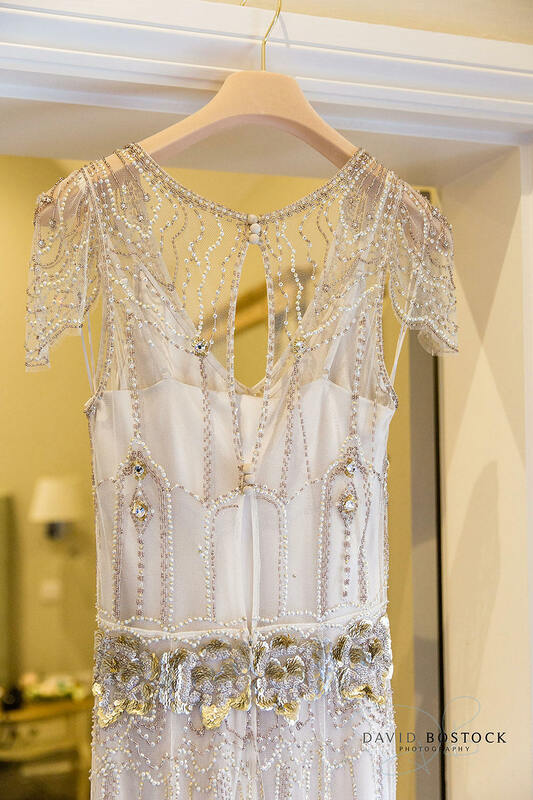 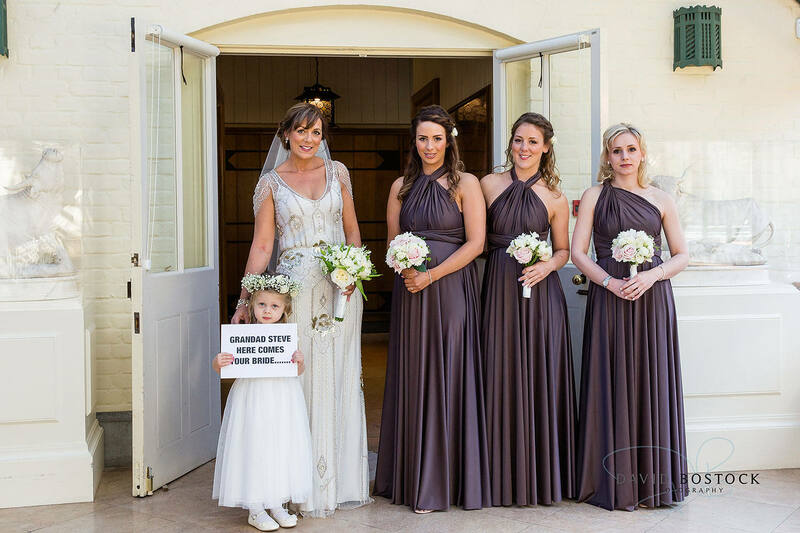 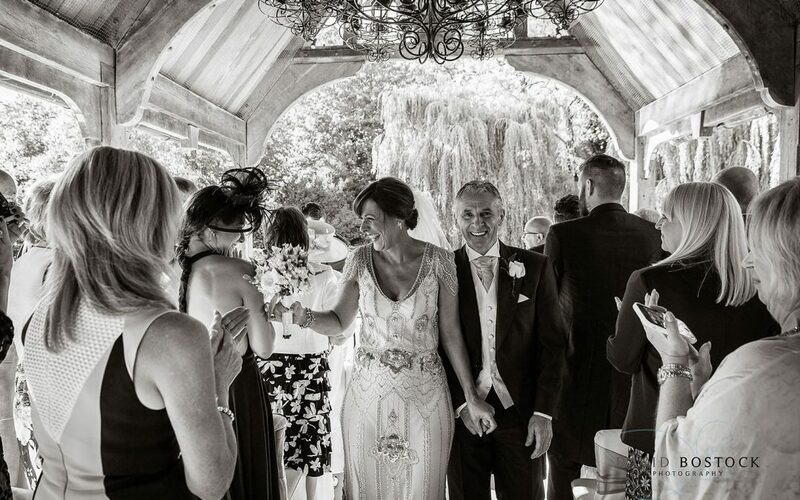 Lesley worked a stylish, vintage look in a drop-dead gorgeous, beaded Jenny Packham wedding dress and accessories from the amazing Ellie Sanderson, while her bridesmaids looked fab in aubergine multi-way gowns from twobirds Bridesmaids. 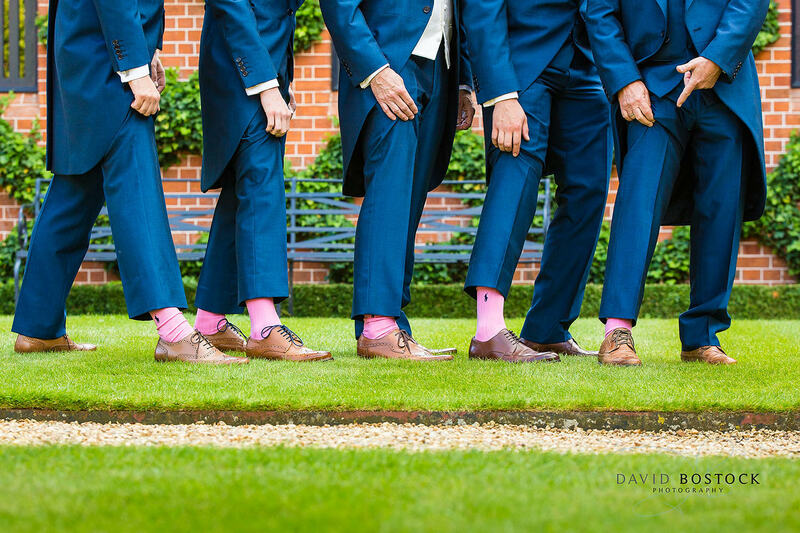 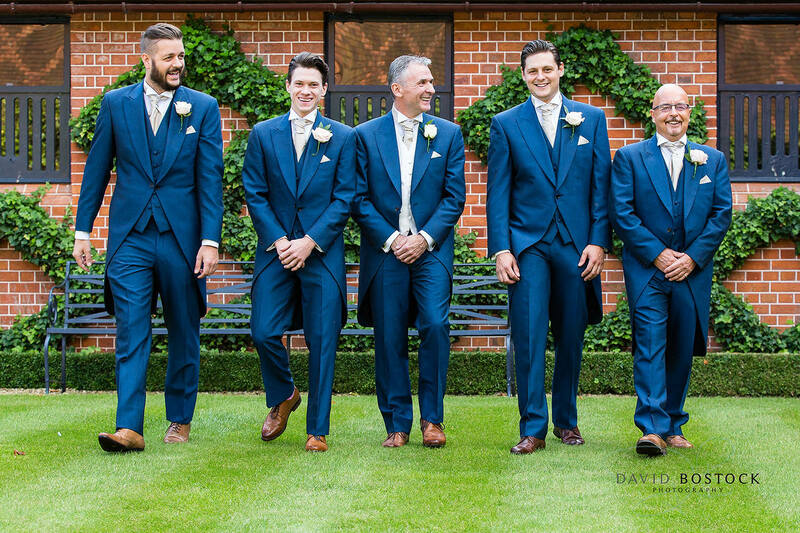 The guys looked dapper in their petrol blue wedding tails, with matching pink socks that I just had to get a photograph of! 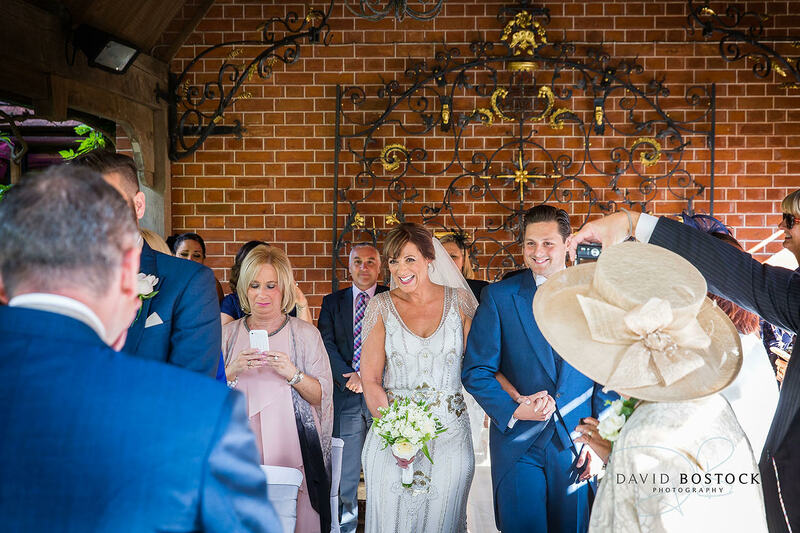 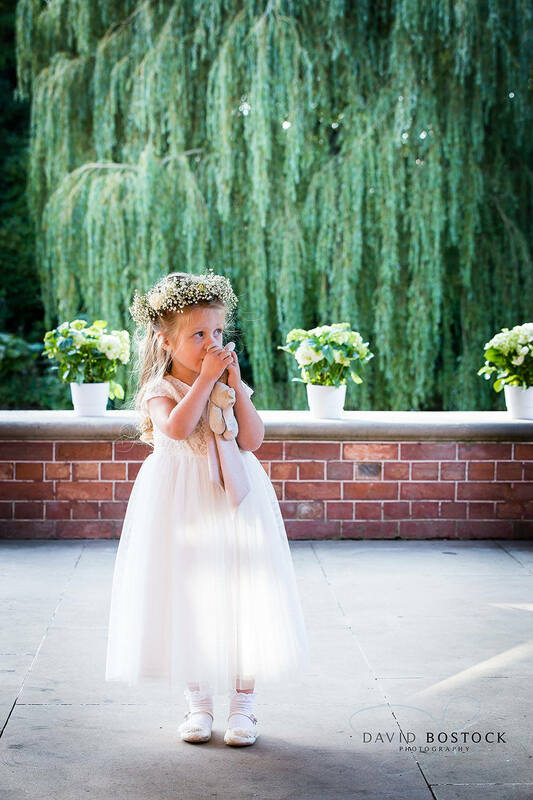 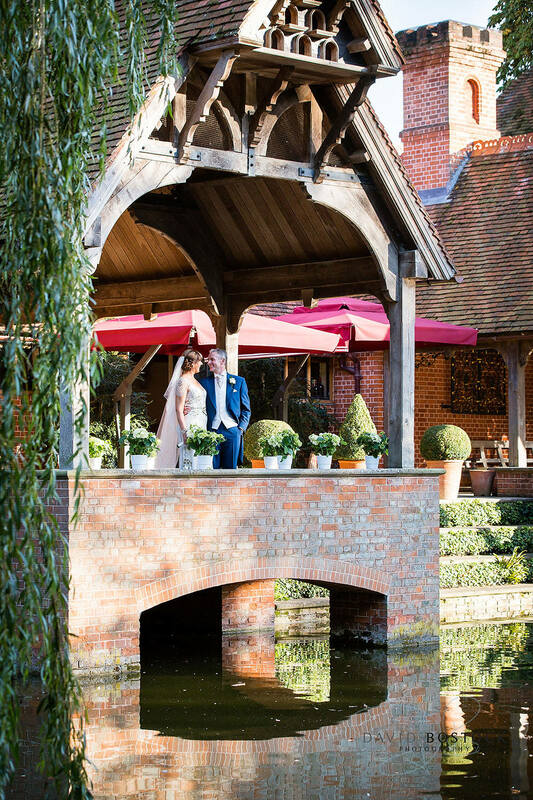 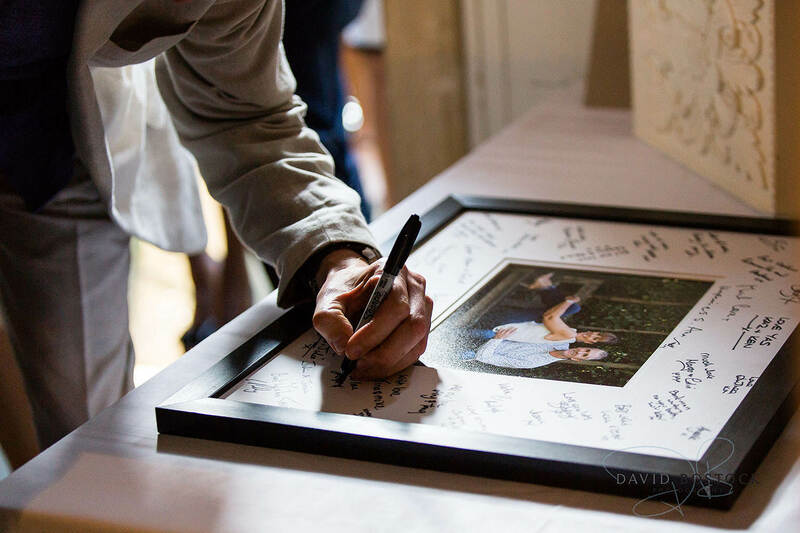 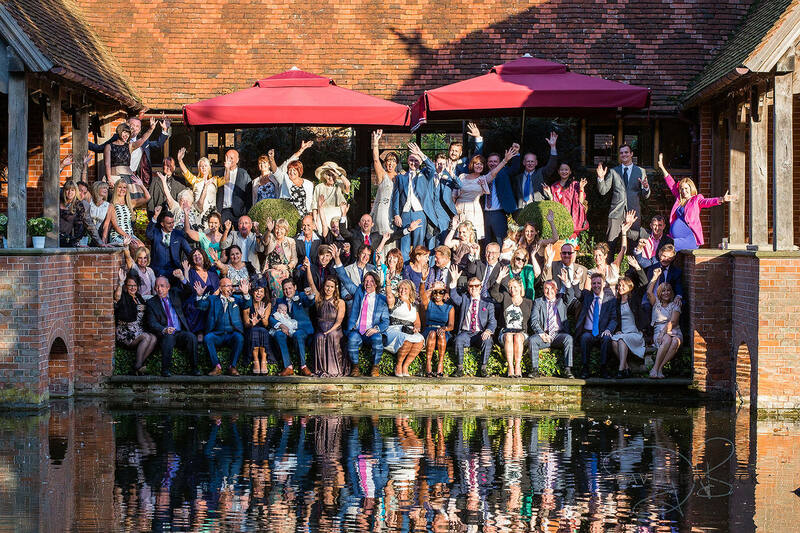 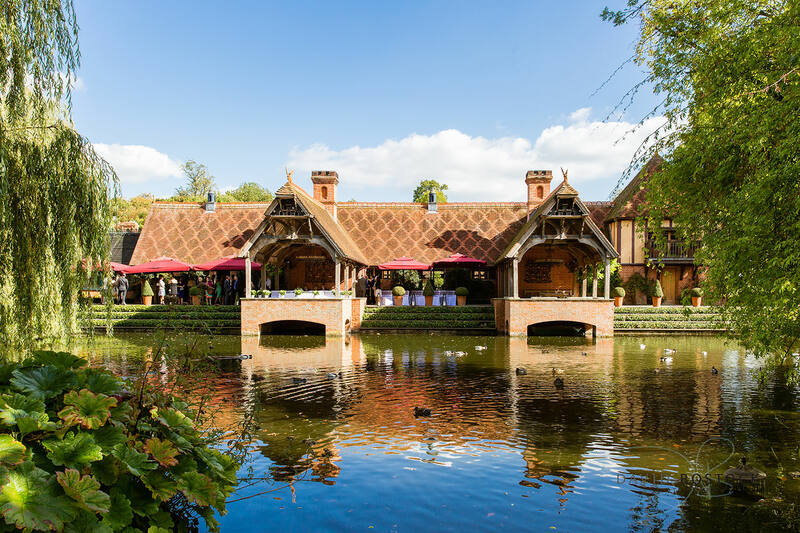 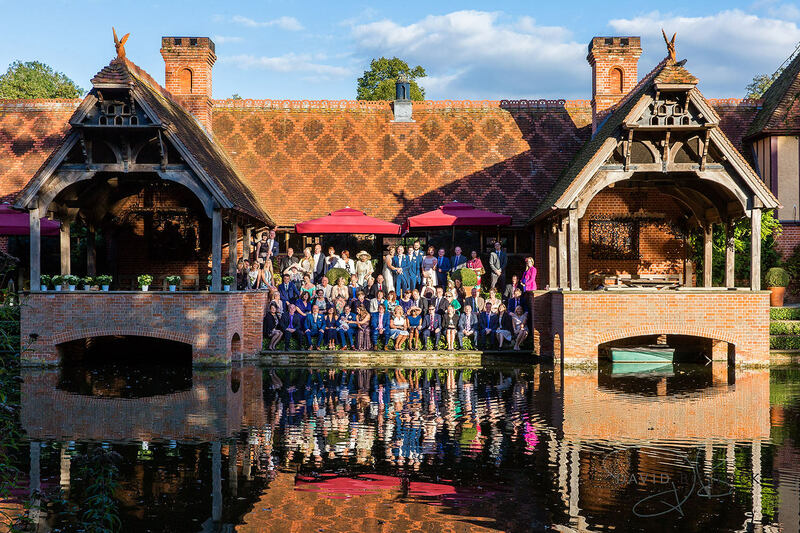 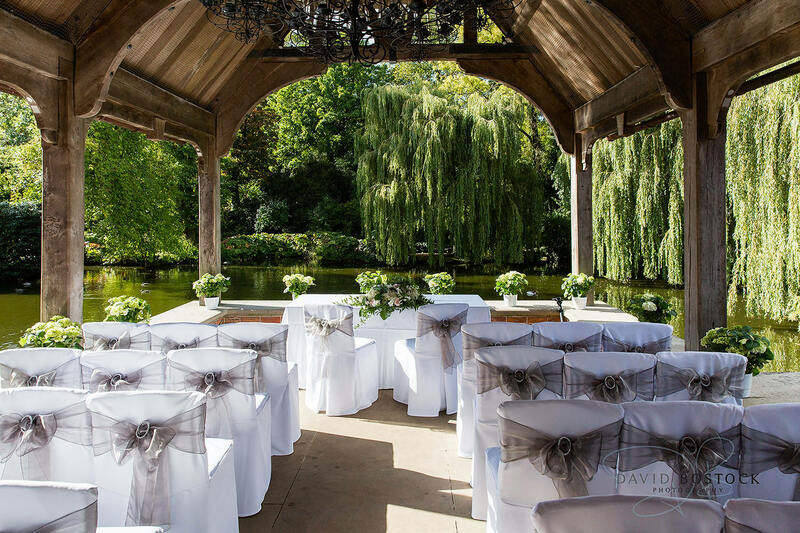 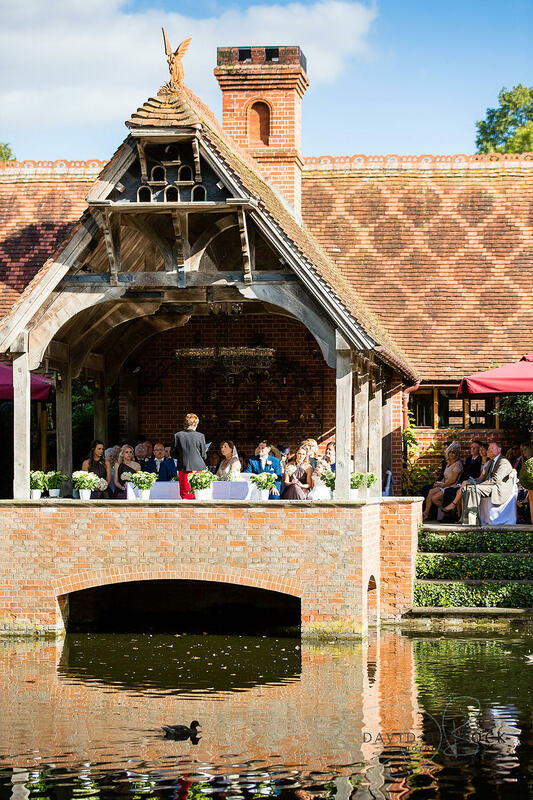 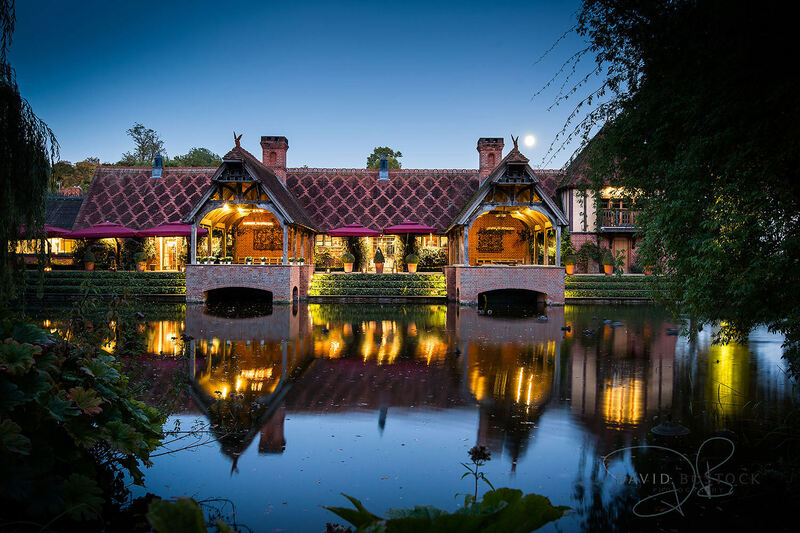 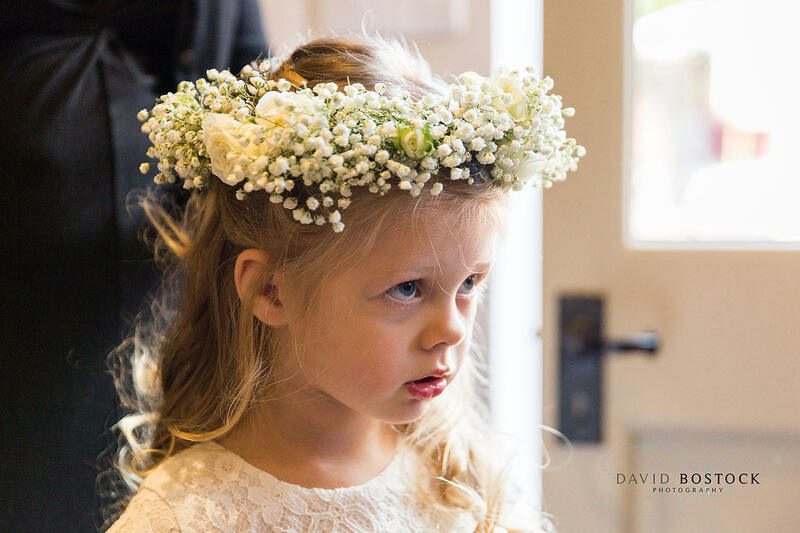 The Dairy Waddesdon is a fantastic venue for a wedding photographer, as there are so many great places to take shots, including the Lakeside Pavilions – brilliant for taking a big group shot from the other side of the lake – and the Secret Garden. 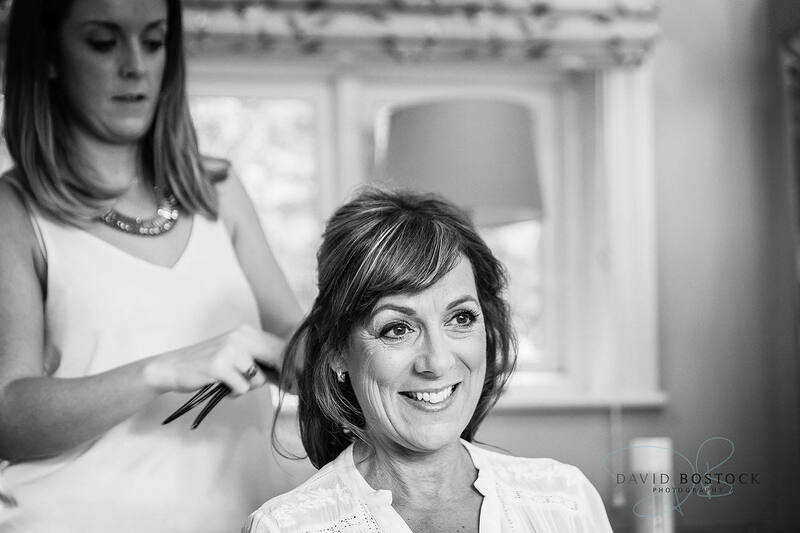 I had a pre-wedding shoot with Lesley and Steve a few months earlier, so we knew where we wanted to do the photos on the day. 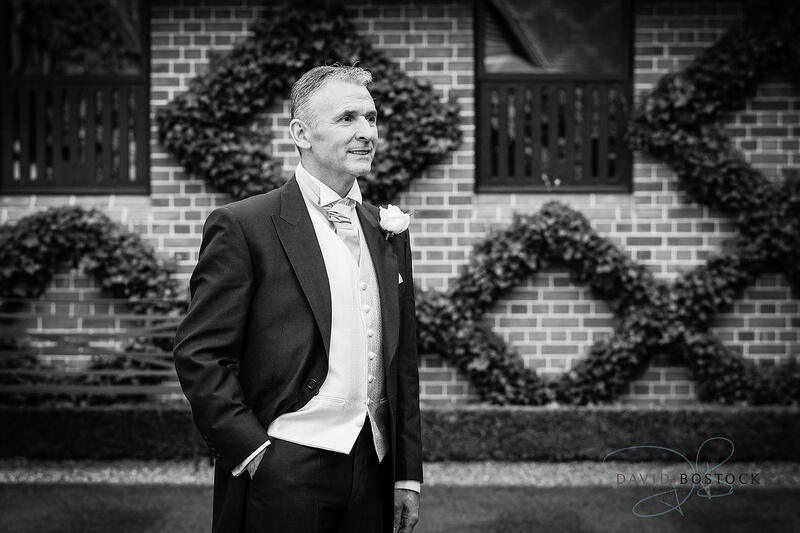 That made the day go really smoothly and we ended up with some beautiful shots. 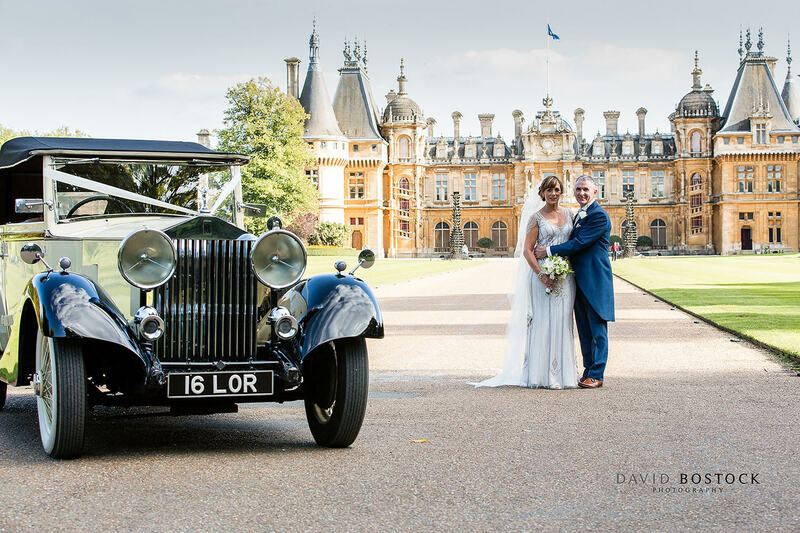 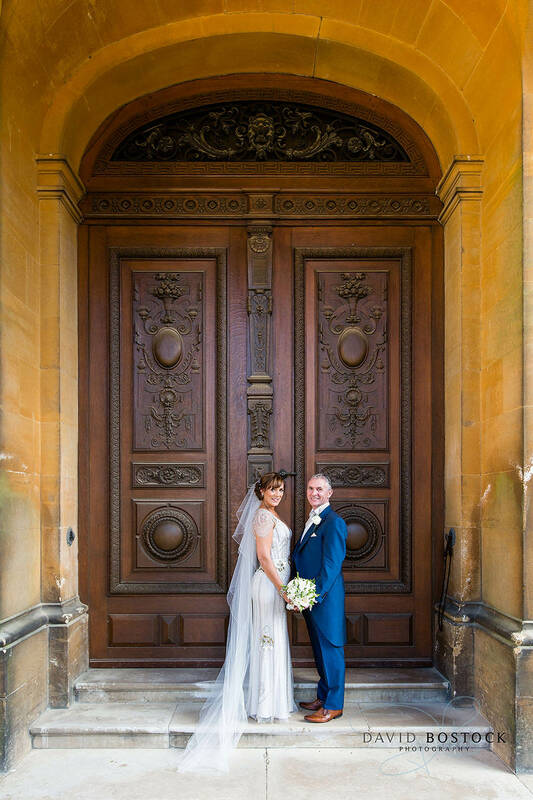 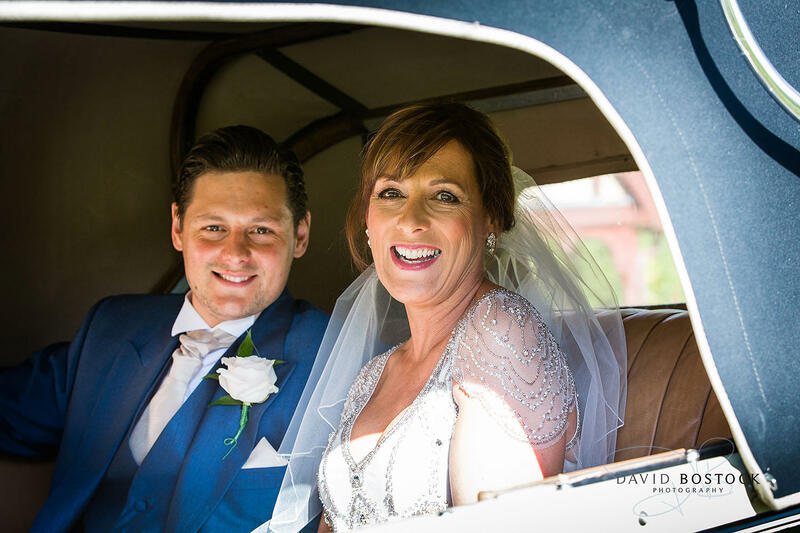 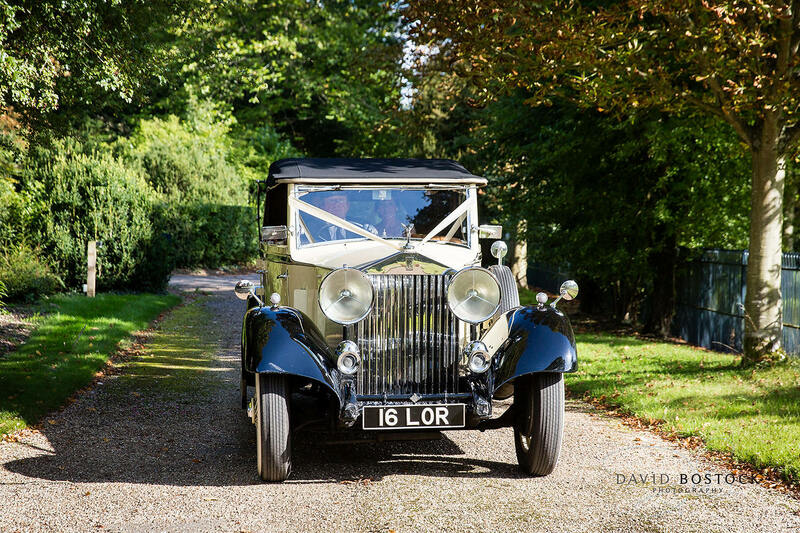 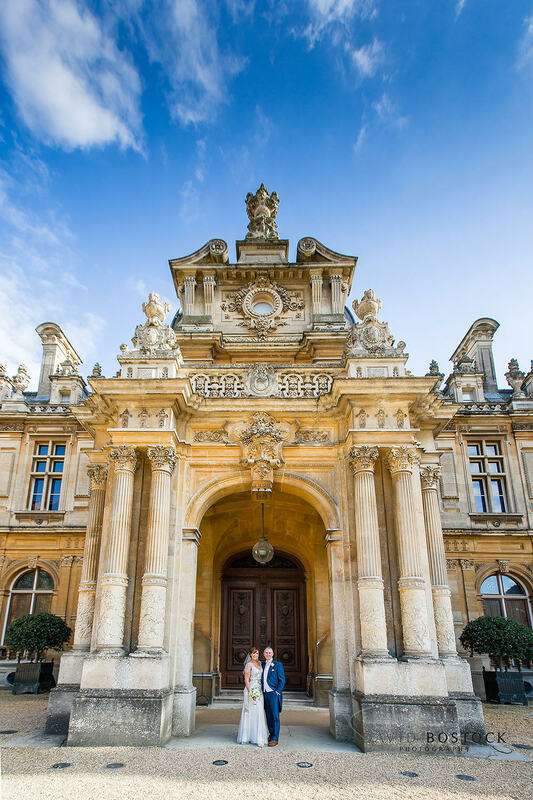 We were lucky enough to get over to Waddesdon Manor on their wedding day, in the incredible vintage car they’d hired, and took some really special photographs. 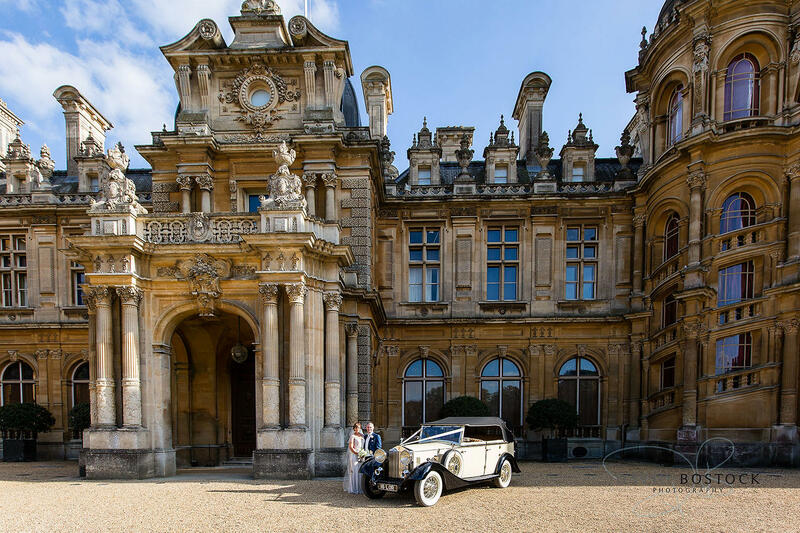 As The Manor was open to the public that day, it meant a lot of Photoshopping out of people in the shots, but I think the results were definitely worth the effort. 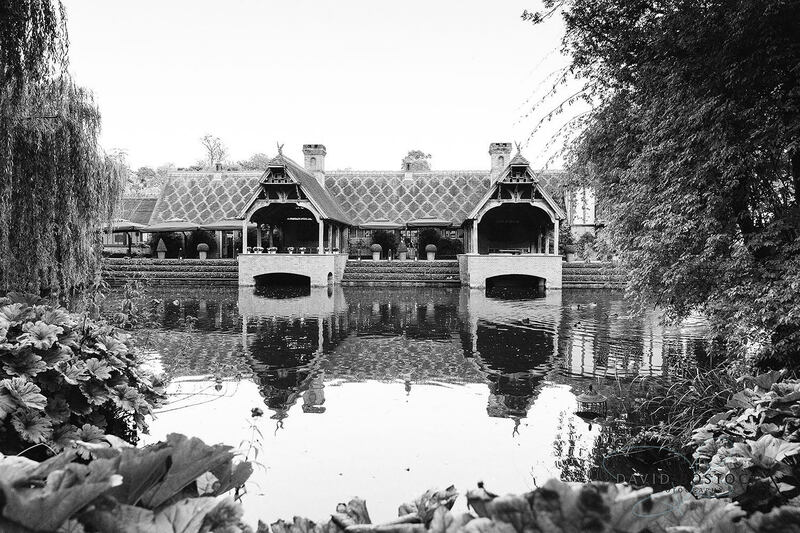 Getting a photograph of The Dairy Waddesdon at night was no mean feat either, as I had to negotiate tree roots and other hazards in the pitch black (where’s a torch when you need one?!) 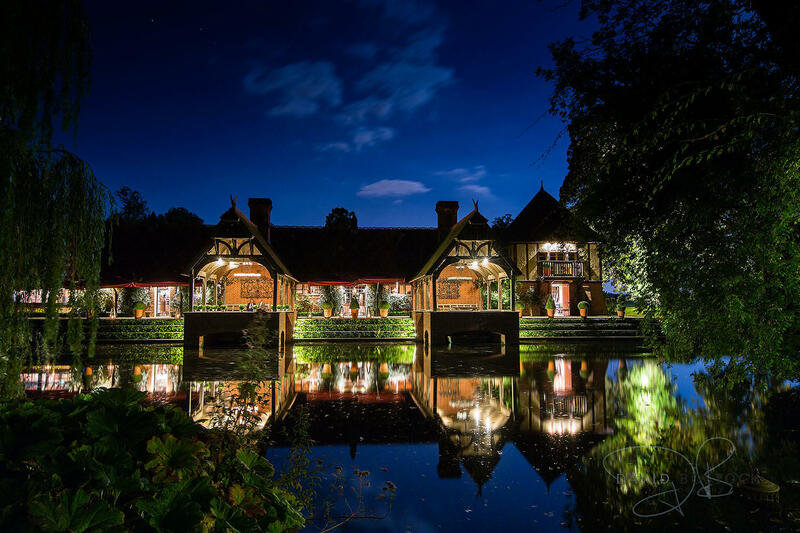 but, thankfully, again I didn’t end up in the lake and the photo of the venue all lit up, with the reflection on the water, looks great. 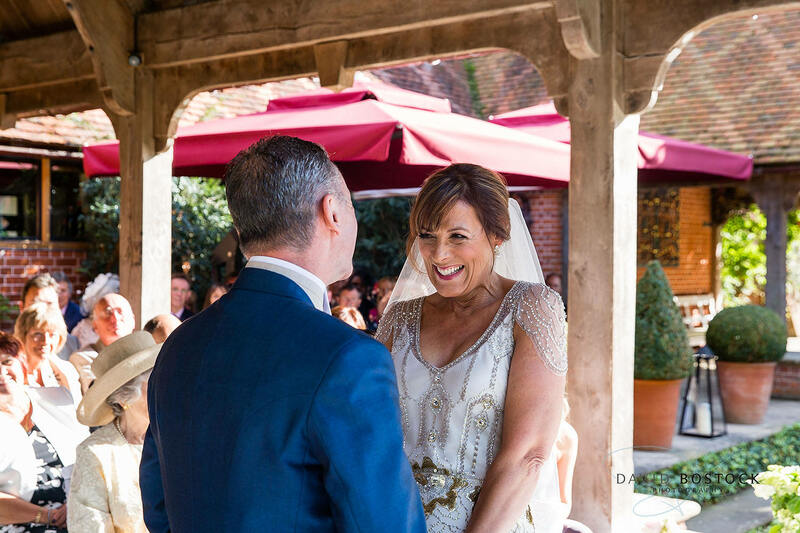 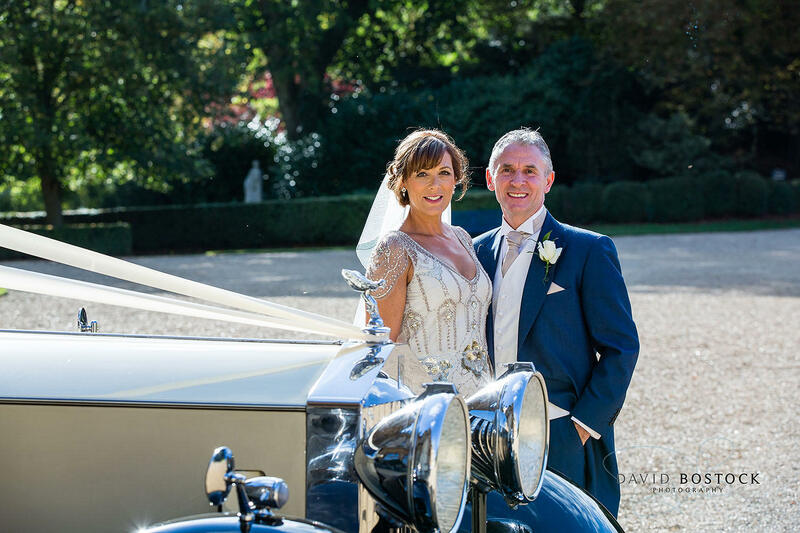 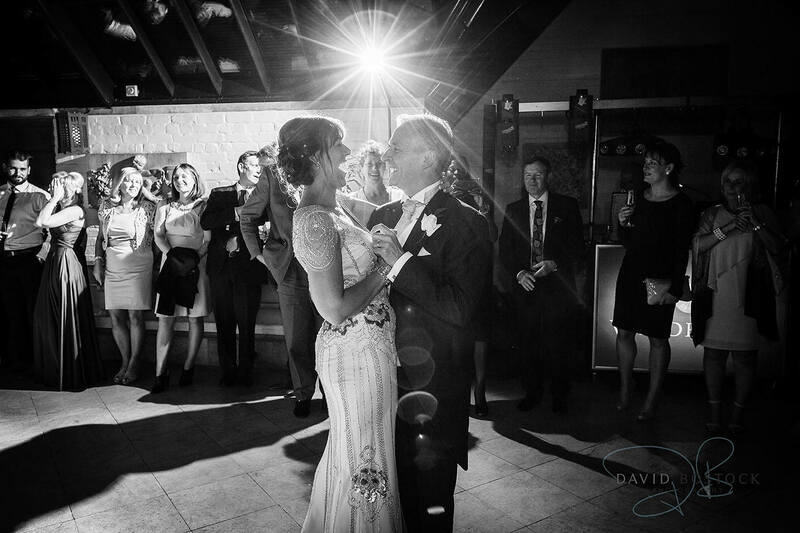 The sun shone and the happiness was contagious – I don’t think Lesley and Steve stopped smiling all day. 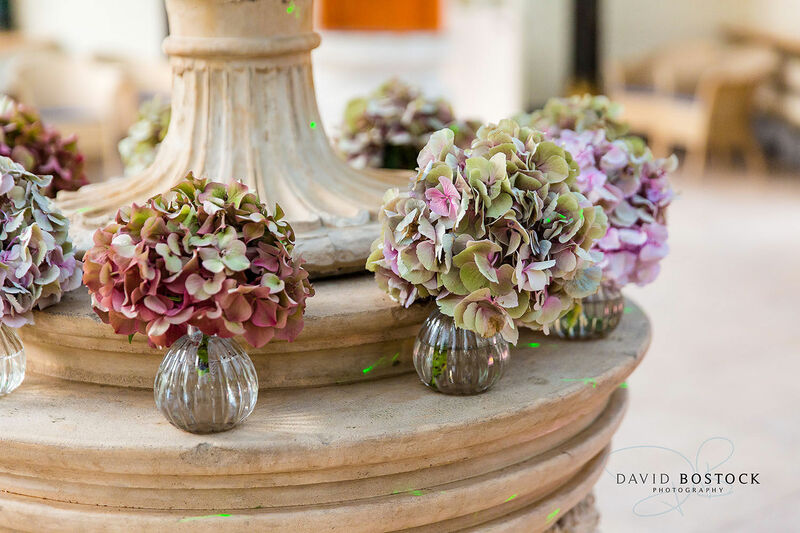 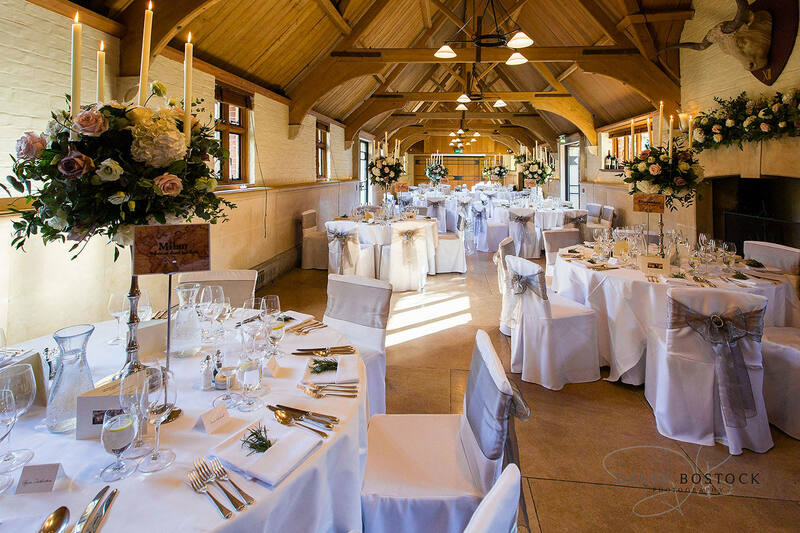 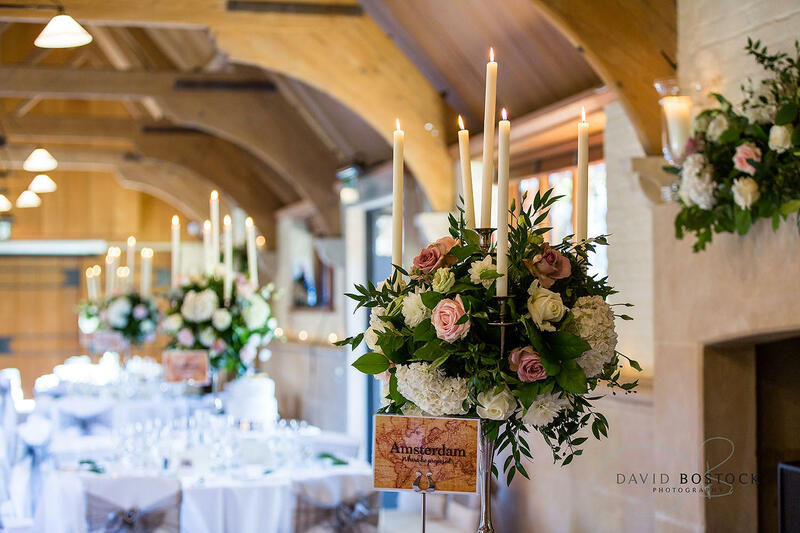 The West Hall was the chic setting for the reception and the tables, each named after a place significant to the couple, looked fantastic with their floral and candle centrepieces. 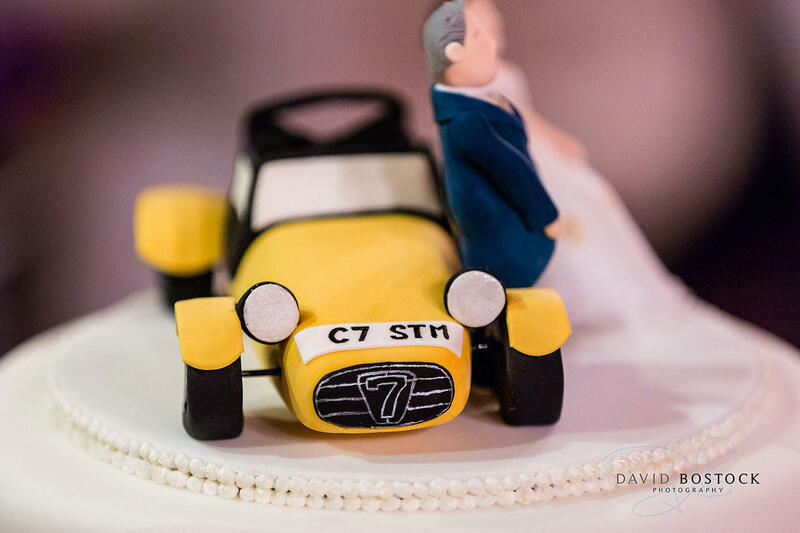 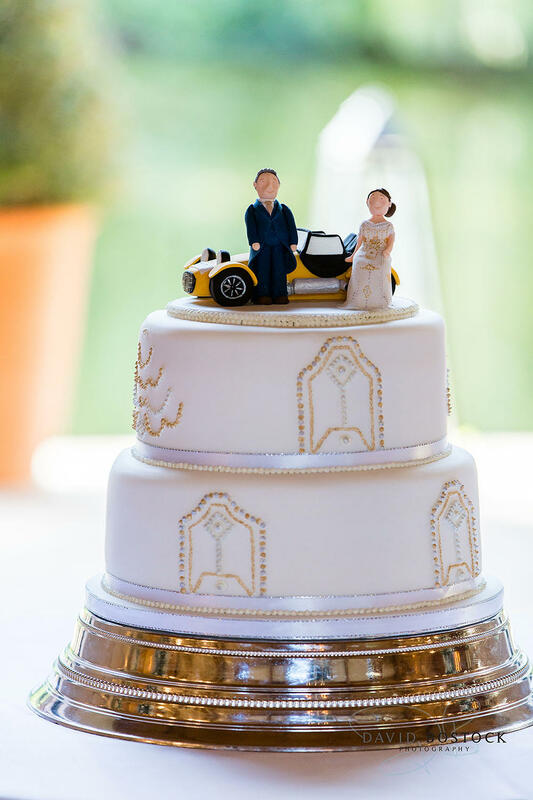 The wedding cake was a nod to Steve’s love of cars – as a self-confessed petrol head, of course they chose a Caterham 7 2-seater sports car cake topper! 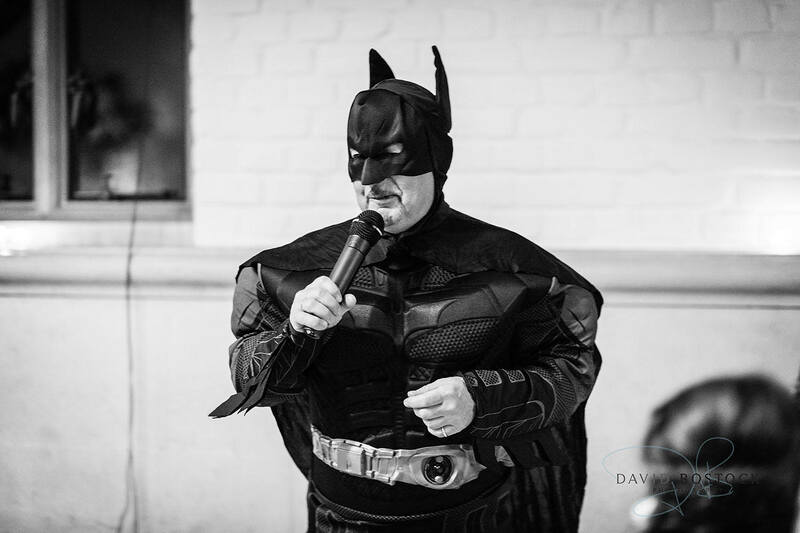 The speeches were great fun to photograph, especially thanks to the best man who arrived for his speech dressed as Batman, as you do! 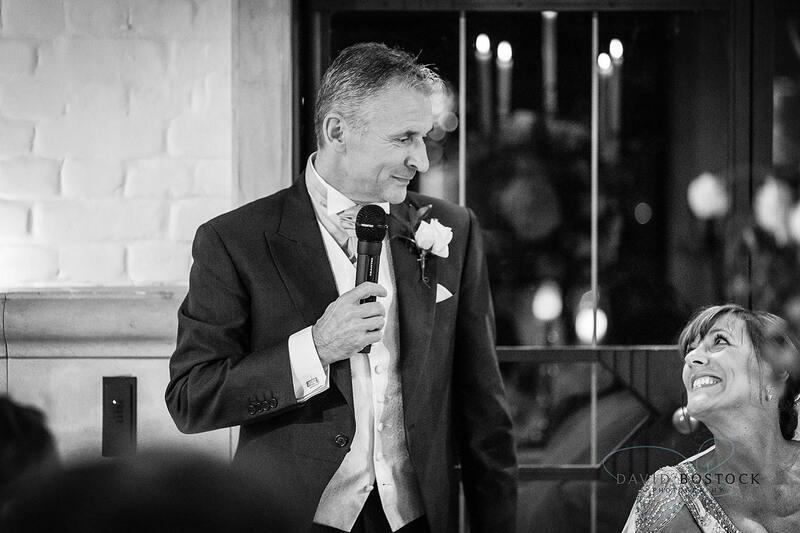 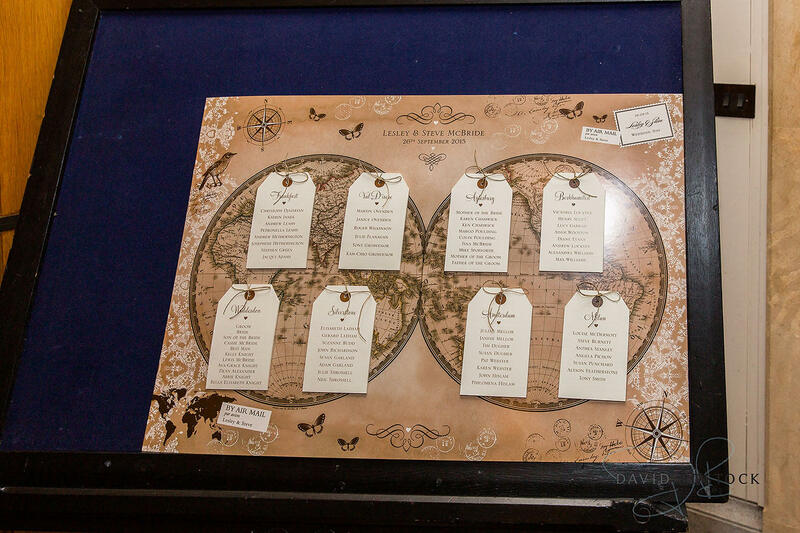 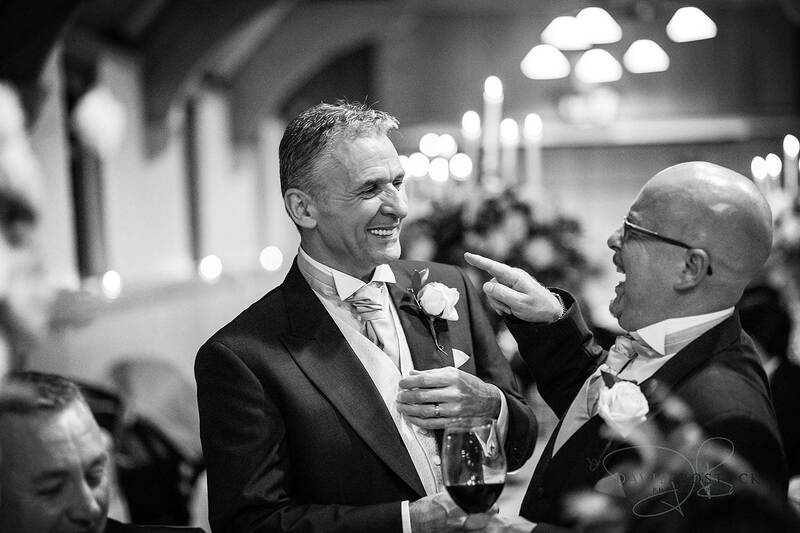 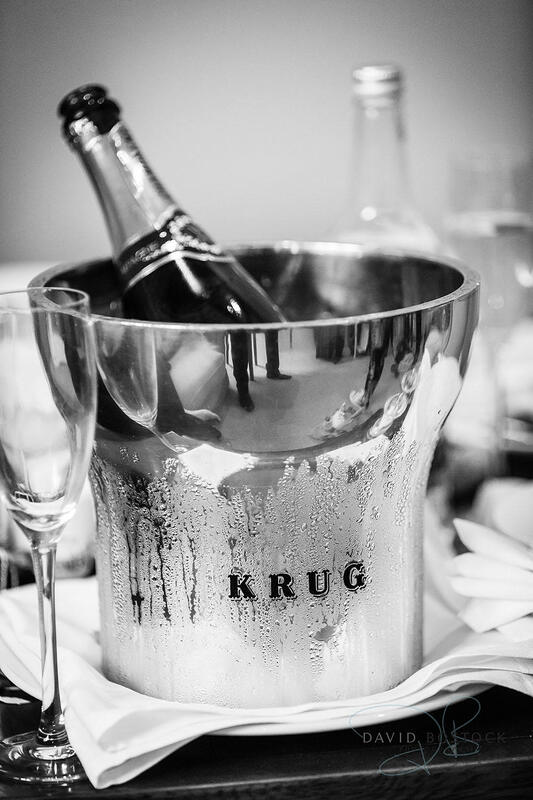 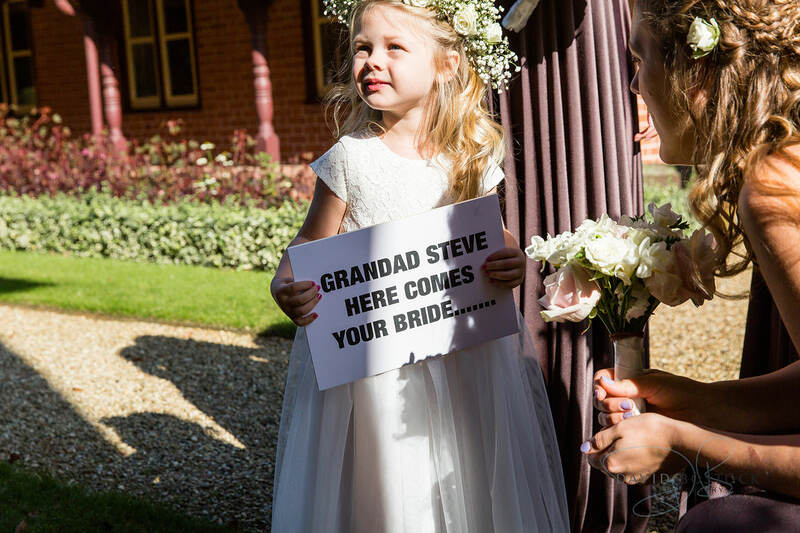 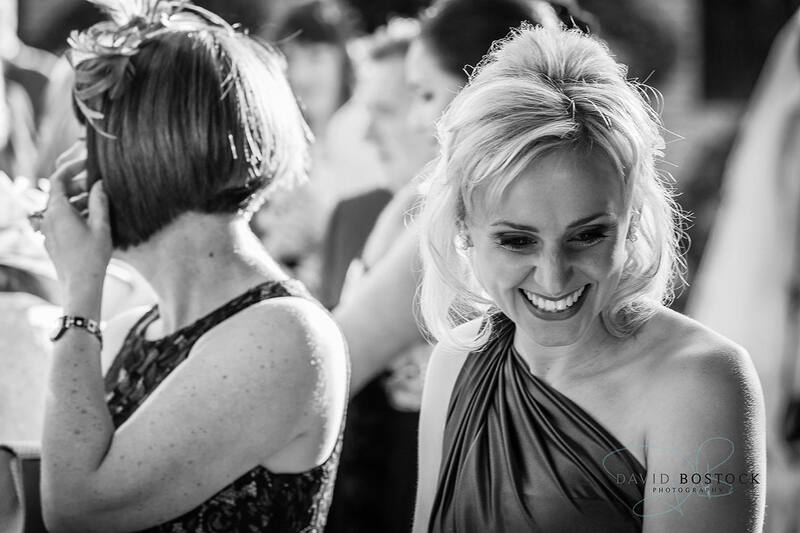 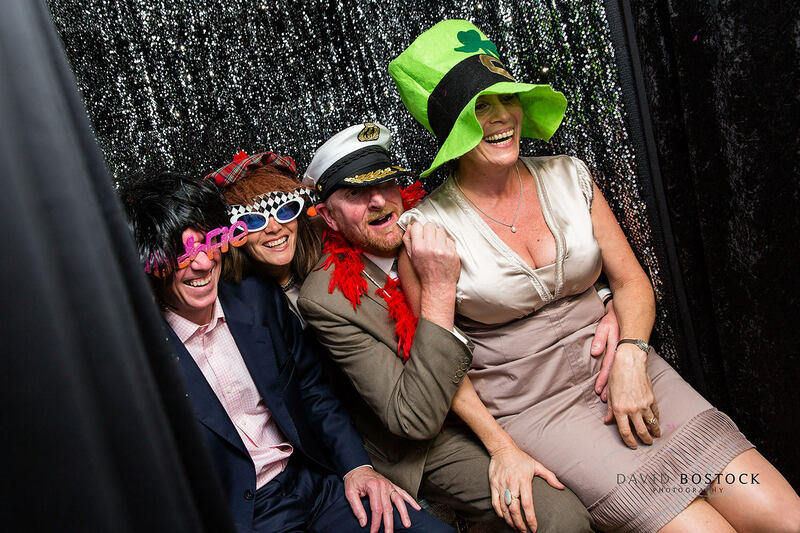 Great weather, a stunning setting and plenty of laughs – what more could you want on your wedding day, hey?